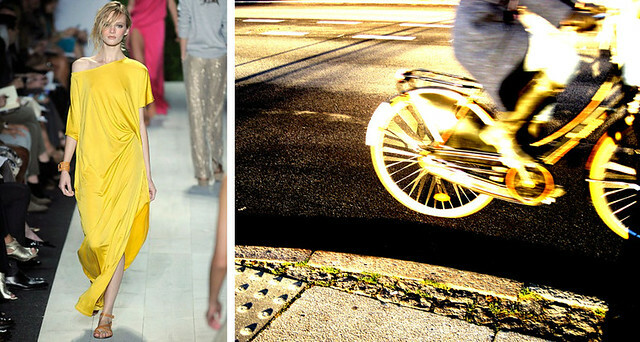 Perusing the spring runway collections again, we realized that every piece is a reminder of a particular photo of a person or bike in Copenhagen. 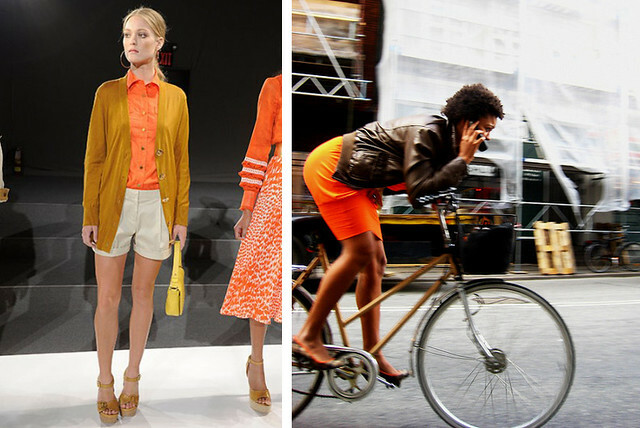 In the above photos, from left to right, we have Michael Kors runway white and next to it Cycle Chic whitealiciousness. Michael Kors and the Free Spirit bicycle. 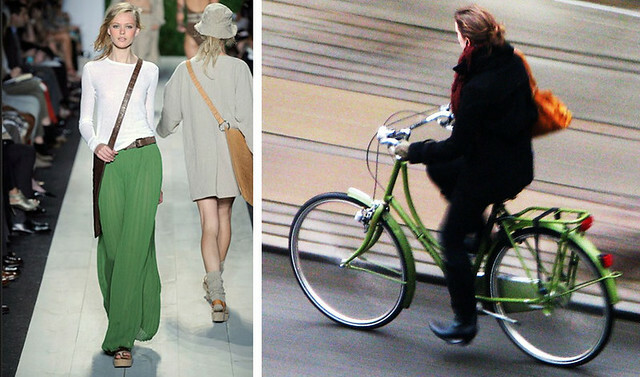 Michael Kors and spring green bicycle. The theme for Michael Kors' collection was, "Walking on Sunshine." We love how effortlessly Tory Burch's collection is translated to the real world... our Copenhagen multitasking commuter looks like she could just as well be coming home from her job there. Marc Jacobs 1970s boho pink to Cycle Chic pretty in pink.